The extraordinary story of Australian marsupials. The text distinguishes the diverse marsupial group from other mammals and places it in its geographic context. It covers all species in Australia and draws together diverse branches of knowledge to interpret the many unique biological traits that characterise these marsupials. Juan Davila. Title Juan Davila. THE CENTENNIAL HISTORY OF HIS MAJESTY’S THEATRE. 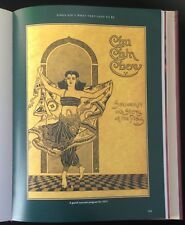 His Majesty’s Theatre Foundation Hardcover in Dustjacket 354 Pages 2004. Contains a large fold-out map of dated cross-sections views of the theatre. A DREAM OF PASSION. By Harold G. Cogger. With each printing, the text has been expanded to take into account discoveries of new species and changes in the classification and distribution of previously known species. REPTILES & AMPHIBIANS OF AUSTRALIA. Climate and Culture in Australia. Australian Museum of Australia 2005 - 216 pages illustrated in colour and black and white. A Change in the Weather. Lyn Ellison. As a small joey, she was rescued by wildlife artist Lyn Ellison and raised in her lounge room. Tales of Wildlife Rescue. After a successful release, Lucky was released into the wild where she belongs. 100 years of Australia's Grand Slam. Illustrated with Colour and Black & White Photographs. The Early Years - Thelma Long & Len Schwartz. Hard Covered Book in Good Condition with Dust Jacket. ~~ FULL OF INTERESTING INFORMATION ~~. Bill Beatty. AUSTRALIAN FOLKLORE. Hard Covered Book with Dust Jacket in Very Good Condition. ~~ FULL OF GREAT STORIES ~~. Traditional Colonial Ballads. Here There and Everywhere. Bells and their Stories. Second Edition - 2008 copy in Excellent super crisp condition. Theere would be similar life experiences, similar characters and similar events. 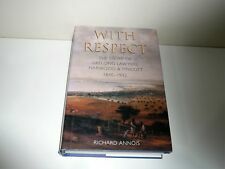 It is a yarn that had to be told and records the history of families in a unique part of Australia. 2008 illustrated hardcover. Victorian Auditor Generals's Office. Victorian Auditor General Office 2002. By Peter Yule. In The Public Interest. in public accountability. 150 Years of The. See Pictures in Close up. For more information. Peta Boyce and Lyn Ellison. FRIENDS WITH FEATHERS. WILD ABOUT YOU. Magpie Art Prints, 2000 First edition. Australia's KAKADU MAN Bill Neidjie. GAGUDJU MAN. Bill Neidjie. Kakadu National Park NT Australian Aboriginals. Pages very clean. This book is published by RANDOM HOUSE. This book is like new. Ian Spence’s beautifully presented plant-by-plant reference is ideal for achieving year-round interest in your garden, whatever its location or your level or expertise.". 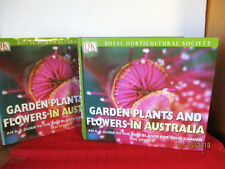 Concise, authoritative text provides essential information on specific plants, including possible uses in the garden and particular horticultural needs, and tip boxes appear throughout. The SES was founded in 1955 to manage community flood responses and civil defence. 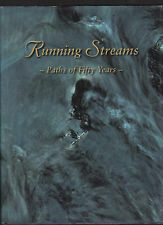 This book traces the SES’s evolution and its struggles for resources and community recognition. AUSTRALIAN BANK DEPOSIT : to Newcastle Permanent. Reprint (2008). Laminated pictorial boards (no DJ as issued). The author, Lieutenant-Colonel Brian Avery served with 4RAR in Borneo and went on to command the Mortar Platoon of 4RAR/NZ in Vietnam. Includes Glossary, Roll of Honour, Honours and Awards and Nominal Roll. Australian Aboriginal Paintings presents an overview of traditional Aboriginal religious paintings. Australian Aboriginal Paintings. Title Australian Aboriginal Paintings. Binding Hardcover with Dust jacket 22cm x 30 com. THE LETTER THAT CHANGED THE COURSE OF THE GALLIPOLI CAMPAIGN. THE GALLIPOLI LETTER. HC pbl in 2010. Les Hiddins - Explore Wild Australia with the Bush Tucker Man. Hardcover with a dustjacket, published by Penguin Books Australia, 2000, 244 pages, 1321 grams. Unless requested otherwise, we are sending letters by the slightly slower and more economical Regular service. It also extends into whaling out of South Australian waters, and discusses the decline of whaling out of Australia. TASMANIA’S SHORE-BASED WHALING INDUSTRY. THE BAY WHALERS. Navarine Publishing Hardcover in Dustjacket 170 Pages 2003. Is complete with its dustjacket. Banjo Paterson, was born Andrew Parsons in 1864. 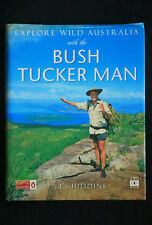 Educated at Sydney Grammar School and the University of Sydney, he established a successful life for himself as a solicitor, but never lost his love of the bush. LARGE FORMAT FIRST EDITION HARDCOVER PUBLISHED BY SAINT IGNATIUS COLLEGE, ADELAIDE, 2001. 200 PAGES AND WELL ILLUSTRATED WITH PHOTO PLATES, MAINLY IN COLOUR. A UNIQUE PRESENTATION. IN VERY GOOD UNMARKED AS NEW CONDITION WITH NEAT, CLEAN AND VERY FRESH DUSTJACKET. Hal Cogger. FIELD GUIDE TO THE BUSHLAND OF. It includes chapters outlining the valley's geology, landforms, river types, flora and fauna together with human impact on its natural world. THE LANE COVE VALLEY. George Molnar’s Sydney. Human Scale in. Craftsman House Hardcover in Dustjacket 152 Pages 2003. I have many interesting, unusual and out of print books for sale. AUSTRALIAN BANK DEPOSIT : to Newcastle Permanent. By Elizabeth Keenan. A stunning compendium of the best in contemporary Chinese art. White Rabbit Gallery, Sydney Hardcover 393 Pages 2010. The White Rabbit Collection is one of the world’s largest and most significant collections of contemporary Chinese art. Compiled by the Royal Australasian Ornothologists Union. BITES & STINGS. SWAN G & M. Australian First Aid. HOW to Treat. We are very understanding. But, of course, we are not mind, readers. 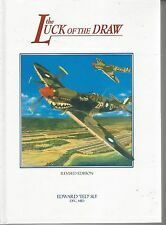 By EDWARD ' TED ' SLY DFC, MID. HC pbl in 2003, by AUTHOR, SIGNED by AUTHOR. THE LUCK OF THE DRAW.